One of the biggest photography tips out there is to use natural lighting. Well, let me tell you. Natural lighting can be pretty fickle in Seattle. Paint companies have even named their gray paint after us: Seattle Gray. The first picture was taken with my camera phone under fluorescent lighting. I thought I could fix some of the blandness in a photo editing program. Later that week, I took a picture of my pendant near a window to take advantage of some natural lighting. What a world of a difference!!! I am appalled to have published that first picture! It is horrible! What was I thinking? Oh, yeah. I was thinking, "dang, it's winter in Seattle. I'll have to make do with a picture under my fluorescent lighting and try to correct it later." Yeah. As you can see from the pictures, natural lighting beats fluorescent lighting for sure. 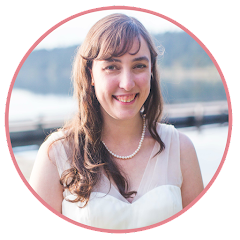 Being that I live in Seattle, though, I decided I can't rely on natural lighting alone. I want to be able to take quality pictures of my jewelry and crafts without relying on what time of day it is or whether I can capture soft light through my window or not. After doing some research (on Pinterest! ), I decided to jump on the light box band wagon. A ton of people have made their own light boxes well before me, so this isn't anything new. However, the majority seem to be made with cardboard boxes. I found a couple of alternatives to the cardboard box and decided to make mine similar to nataliezdrieu's DIY Light Box. I bought all of my supplies from Target. 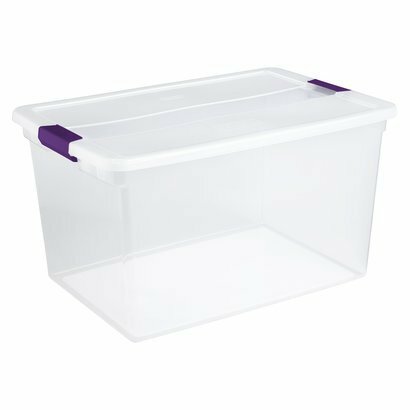 I chose a large (66-Qt) storage container that is clear and squarish (no rounded sides). It cost me $9. You could also make a frame out of cardboard or foam board, but I like the idea of the dual usability of a storage box. The most expensive part of the set up is the lamps. If you have lamps available at home, use them. 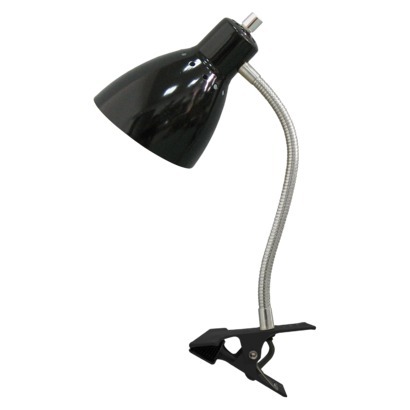 I didn't, so I bought three clip on desk lamps for $10 each. I also bought full spectrum, 4 pack of bulbs, which was also around $10. The total set up cost me under $50. I already had the surge protector, which was an afterthought when I realized I needed extra outlets for the three lamps. This is the best part. My first time setting up took me less than 10 minutes! Remove the sticker label from your container and remove the lid. Lay the container on its side. Cut the poster board width down so that it will fit inside of your container. I had to cut roughly 2 inches off the side. 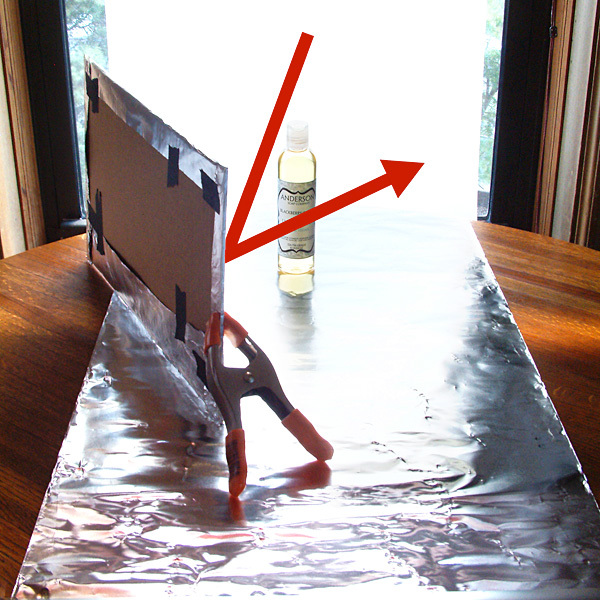 Stick your poster board inside and tape into place. Drape a single layer of tissue paper on the top and sides. I didn't even need to tape them down because of static cling! 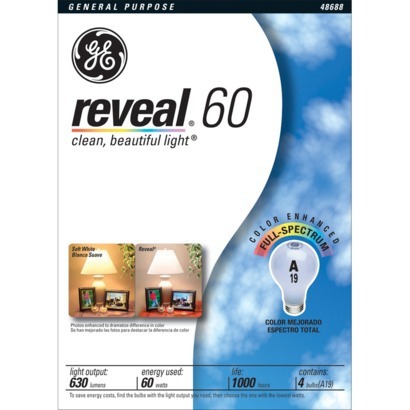 Remove your lamps from the packaging and install your full spectrum bulbs. Clip one lamp to each side and clip the third lamp to the top. Point all the lamps toward the box. Plug all the lamps into a surge protector and turn them on! I chose to use a storage container over making a cardboard or foam board light box (several examples of which are pinned to my Photography Tips Pinterest Board), because once I am done taking pictures I can store all the supplies inside of the storage container. If it was made out of cardboard, I would have to figure out some place to put it where it wont' get crushed. I don't have to worry about storing the storage container because of its dual function. Also, the additional cost for the storage container was only $9. 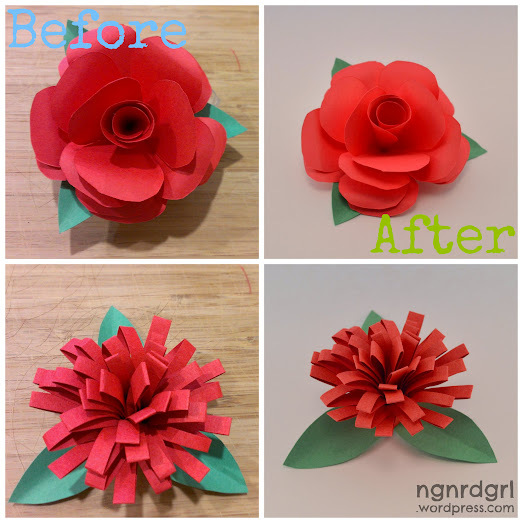 Pinspired Paper Flowers: Pictures on the left taken with an HTC One S Camera Phone under fluorescent lighting during a cloudy day. Pictures on the right taken with Nikon D3200 in light box during a cloudy day. I still need a bit more practice working in the light box to get the right exposure. I really like how soft the lighting and shadows are in the light box. I took this picture with my HTC One S Camera Phone in the bathroom at work. Haha! What do you think of my light box pictures? 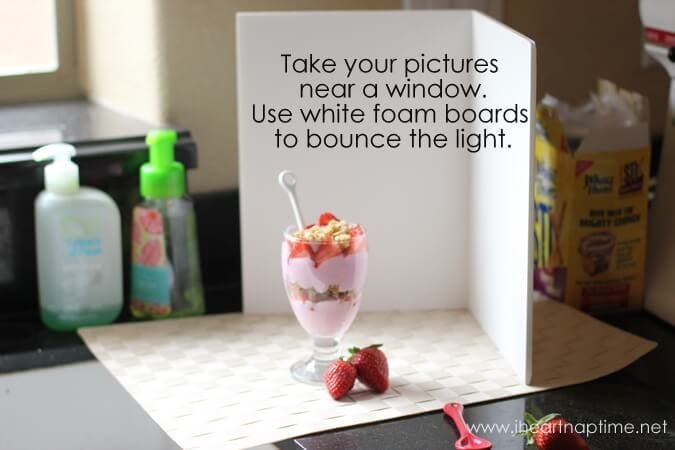 Are you considering making your own light box? I think I might try a combination of these solutions. Tissue paper taped to a window might help with harsh lighting conditions, since all of my windows face south. So what do you think? 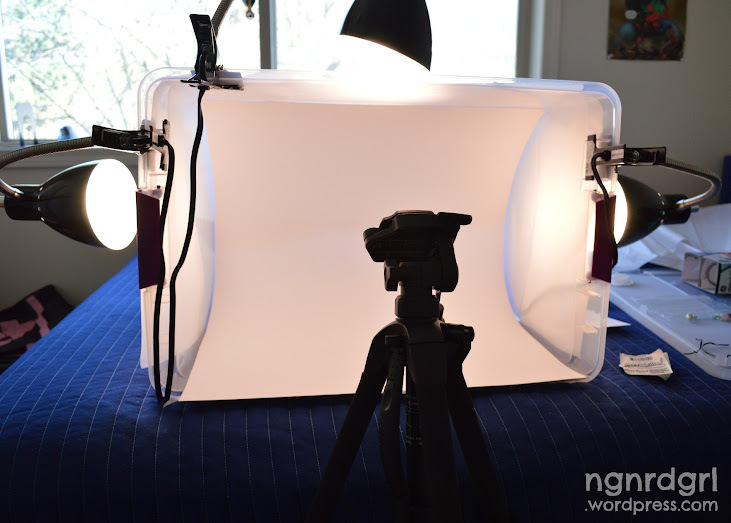 Are you planning on setting up your own Light Box or Natural Lighting Photography set up? Have you made your own Photography Set Up? We would love it if you share your work with us at Photog Show and Tell! It is a monthly photography link party designed to promote practicing our photography skills and sharing tips and tricks with each other. Hope to see you there! Great ideas!!! Thanks so much for the informative photography ideas. I have the hardest time finding good lighting and its gray here, but not Seattle gray so I dont even have a good excuse. Def looking into these. We have the "gray" problem here in Pittsburgh, too. Blah. I made one of the cardboard light boxes, and it has definitely helped, but you're right-- storage is a pain. Our new DSLR came in this week, and I am totally dying over it. Even with having no clue what I'm doing yet, the pictures are 1000% better than my point and shoot. Keep posting all of your photography tips...I'm going to need them!! ;) Happy Monday! What an awesome post and DIY is the way to go because so much photography equipment is outrageously expensive.. Bookmarked this page.. Thank you!! Awesome Beth! Great pictures :) Awesome tips, too! Yay! Thanks for checking it out! I am really excited to work more with it. Capturing that light can be a challenge. I hope this helps! 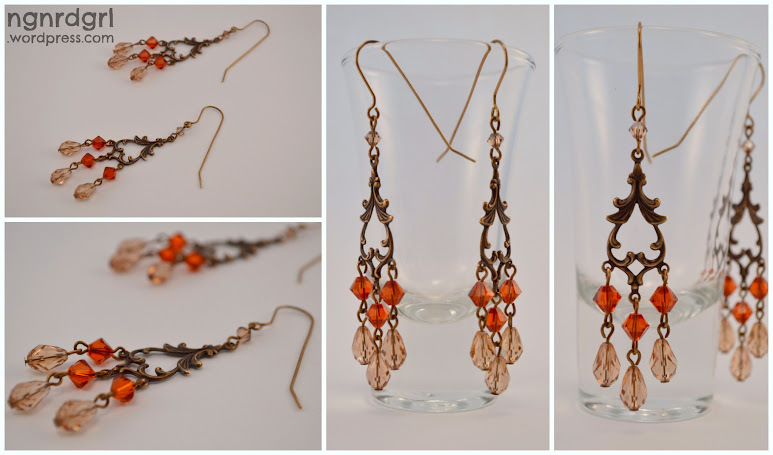 Very resourceful, the photos look so much better in natural light! I've found great success with using white foam boards as a blank backdrop and to bounce the light. Our living room lets in a ton of light and since we're in the Sunshine State, it's the perfect recipe for blog photography. Still, there are many evenings when I'm up late at night, working on a project that I want to photograph and be done with, but instead, I have to wait until daylight comes. It's those moments that I wish I had a photo light box. Thanks for sharing your process! I'll definitely refer to this if and when I create my own. Thanks for the DIY. Pinning this to my photography board on Pinterest. Awesome! I always struggle with light, esp if I can't take my food photos outside or if it's too late in the day! Great ideas! I am pinning this! Thanks for sharing at Domestic Superhero Sharing Thursdays! Great idea with the use of the plastic bin! What a big difference! Love the idea of using a plastic container. I finally got around to putting my collapsible box up and taking pics of it but I just haven't had the time to post it. Thank you so much! I am heading over there now! What a wonderful idea to use a plastic storage bin! I love that it will hold all of the lights and supplies when you're not using them. I struggle with the Seattle gray, too - we get so few nice days for natural light, it really can be challenging. I've not taken the time to build a light box yet, but I know I need to. Your jewelry photos were beautiful! I was going to do the cardboard box too. I saw someone else use the plastic bin and just thought that was genius. Since the most expensive part for me was the lighting, the plastic bin just made it easier and gives me a place to stow it all. Thanks for dropping by! I checked out your collapsible box. Genius with the (non-brand) velcro straps. Before I found the idea of using a plastic storage bin, this was the route I was planning to take. Thanks for sharing it with us! Oops. Spoke too soon! It's back to Seattle gray and raining. Pinned. What a great idea! Thanks for the awesome tips! And I'm an ngnrdgrl too! or at least was... :) Stopping by from craftsalamode's linky. Using the white foam box is a cool idea. The 144th Kentucky Derby happens on Saturday,Breeders Cup 2018 Live Stream May 5 and, as ever, the Run for the Roses guarantees to be the most elating race on the donning logbook. The Derby is the principal leg of the Triple Crown and is kept running by three-year-old pure bloods at Churchill Downs in Louisville, Kentucky. "The Herbert Power run was an extraordinary trial of stamina and he demonstrated he has an incredible turn of foot, he put six lengths on a field inside 100m. "It was basically stunning and he was simply so wrecking in the manner in which he won."